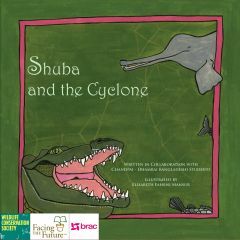 A great holiday gift idea: Shuba and the Cyclone, a new children’s book that features the creativity of 20 girls who participate in BRAC’s SoFEA (Social and Financial Empowerment of Adolescents) program in Damrai, Bangladesh. The book follows the adventures of Shuba, a Ganges River dolphin who must find her way home after a cyclone. 20% of sales of Shuba and the Cyclone will automatically be donated to BRAC and an additional 20% of sales will be donated if you enter promo code BRAC at the time of purchase. Entry filed under: Uncategorized. Tags: asia, Bangladesh, be the change, BRAC, Damrai, developing world, development, economic development, Helping Women Helps the World, shopping, Shuba and the Cyclone, Social and Financial Empowerment of Adolescents, SoFEA, south asia, women, women's development.